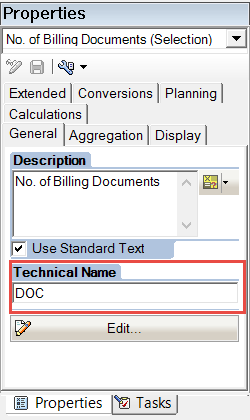 If there is a requirement to restrict the key figures in the variable screen of a BEx Query, you have to work with some sort of workarounds ( formula variables, zero suppression and so on). With BW 7.4 SP8 another option is now available. It is called Visibility of Structure Members. Once activated a new selection in the variable screen of a BEx query is visible. So far I have not seen many systems where the technical name has been used for reporting. But for this feature it is pretty important as otherwise only the generated query element id (UID) would be displayed which might be confusing for endusers. I think this is a useful alternative where selection of key figures is required. Compared with other solutions it is very easy to use. The only thing which I personally do not think is optimal at this point, is the fact, that the order of new variable can’t be influenced as with the other variables (Query Properties / Variable Sequence). As mentioned before this is only available from 7.4 SP8 onwards. 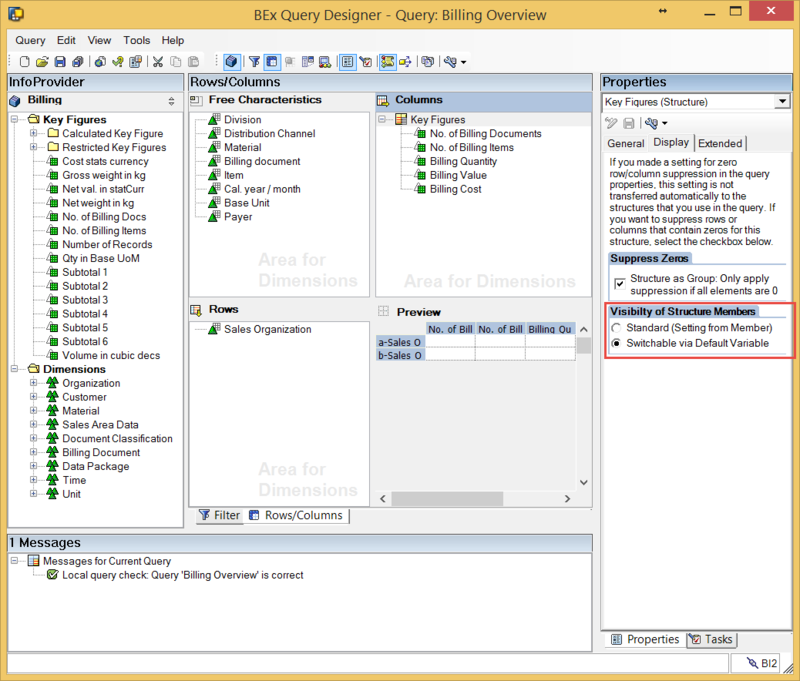 If you are on this release you should also check that a recent version of the query designer is being used (BI Addon for 7.3 SP8 or BI Addon for 7.4 SP1).